The Invicta Dynamos are delighted to introduce 22 year old defenceman Tommy Ralph to the NIHL South Division 1 in 2016/17 with the blue liner arriving in Kent having featured in both the Elite League and the EPL over the last two seasons. Hull born Tommy Ralph has so far made his name in the north of the country having begun his career in Kingston where he worked his way through the junior ranks before first sampling senior hockey in the ENL come 2009/10. There started a journey that would see him debut in the Elite League aged 16, appear in both tiers of the NIHL North, spend near two full seasons dressing at the country’s top level and, most recently, become a regular in the EPL. As a teenager in 2010/11 Tommy Ralph made a trio of appearances for the Hull Stingrays in the Elite League whilst predominantly icing in the ENL2 with the Kingston Jets and the Predators at under 18s level. By 2011/12 he had left junior hockey behind to focus on the ENL2 before the Whitley Warriors of the renamed NIHL North came calling the following year. 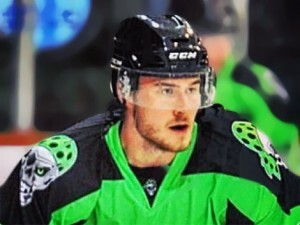 His performances put him back on the radar of the Elite League’s Stingrays and in 2013/14 he returned to the country’s top level making 40 appearances for his hometown team. This was followed by another 53 the following season before the defenceman elected to ice for the newly formed Hull Pirates of the EPL last term. It was to be a difficult inaugural year for England’s newest team both on and off the ice but Ralph featured 48 times for the Yorkshire club before seeking a new home in the summer. Now he is ready to embrace a new challenge as he switches north for south and adds the Invicta Dynamos and NIHL South Division 1 to his already impressive hockey CV. Having put pen to paper for the Mos ahead of 2016/17, Tommy Ralph revealed how his move came about and what drew him to Kent for the new season. “Kevin Parrish got in touch with me through a mutual friend who plays for the Dynamos – Arran Strawson – and the time seemed right for me to try something new and get away from the north for a while. Prior to signing for the Mos I knew that they were one of the top sides in the league and that they shared my ambitions of winning championships plus Kev and I had great talks where he easily convinced me that Invicta was the best fit for me right now”. Tommy Ralph then described what he expected from 2016/17 and what his new supporters could expect of him when he said, “On a personal level this season I am mostly looking to reignite my love for the sport. It’s been a difficult year since the Hull Stingrays folded, with hockey in Hull changing completely, but I’m confident that I can find a new home at the Dynamos and help the team get the silverware they deserve. 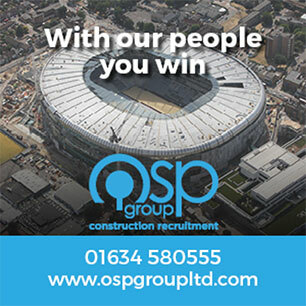 As a team we need to target every possible trophy – anything less won’t do. I’m still young but I have a lot of experience for a 22 year old and I’m mainly looking to steady our defence and lead from the back. I have a big frame at 6ft 3 and 200lbs and I try to move fast, carry the puck well, make that first pass connect or get away a hard shot. The supporters can expect me to out-work everybody I come up against and win the puck back for our team. I finish my hits and play with an edge that a lot of forwards don’t like. It should be a good season”. Meanwhile Head Coach Kevin Parrish was equally happy to have concluded his latest deal and said, “I’m very pleased to be bringing a player as experienced yet hungry to our back line. Tommy is looking to start afresh, is keen to make his mark and has all the qualities to be a force in the NIHL South’s top tier. He’s a strong unit, he will add a physical presence to our defence and extra leadership in the changing room. He arrives with NIHL, EPL and Elite League experience and I’m sure the supporters will take to him quickly in Kent and help him settle at the SIlverBlades”. 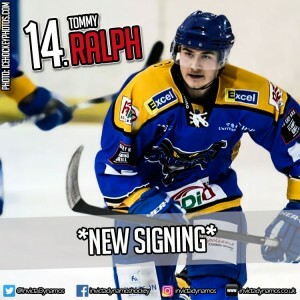 New signing Tommy Ralph will wear number 14 for the Dynamos in his debut campaign with the club and his arrival takes the team’s roster to 17 with few places now left to fill between now and the start of the season in September. Warm-up Jersey – For just £125 get your name or logo printed on the back of Tommy Ralph’s warm-up jerseys. Sponsors are then presented with the jersey to keep at the end of the season. Game jerseys – Get your name or logo on the back of Tommy Ralph’s game jerseys and become a part of the action.